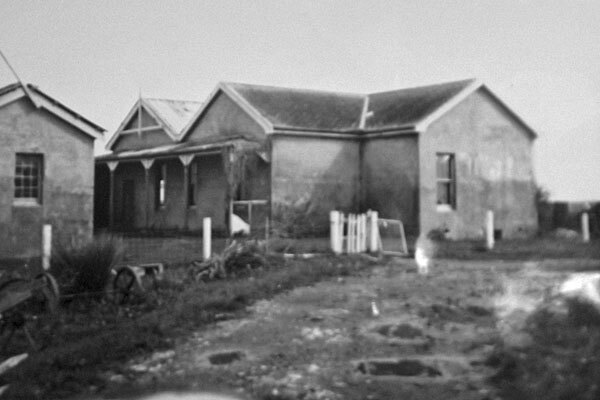 These photos of the former Awanui Radio station appear to have all been taken at the same time. Judging by the car in one of the photos, they were probably taken in the 1950s or later. The Awanui Radio site appears quite run down, although it looks somewhat better in later photos. 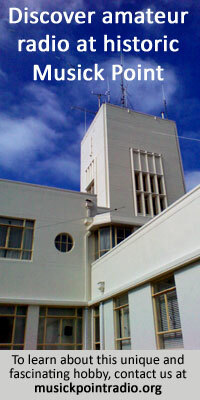 Awanui Radio after its closure, looking northwest. All three anchor blocks for the 400′ tower are visible. Photo probably taken in the 1950s or later. Awanui Radio after its closure and removal of the 400′ mast, looking northwest, with the southeast anchor block visible at the right-hand edge of the photo. Probably taken in the 1950s or later. 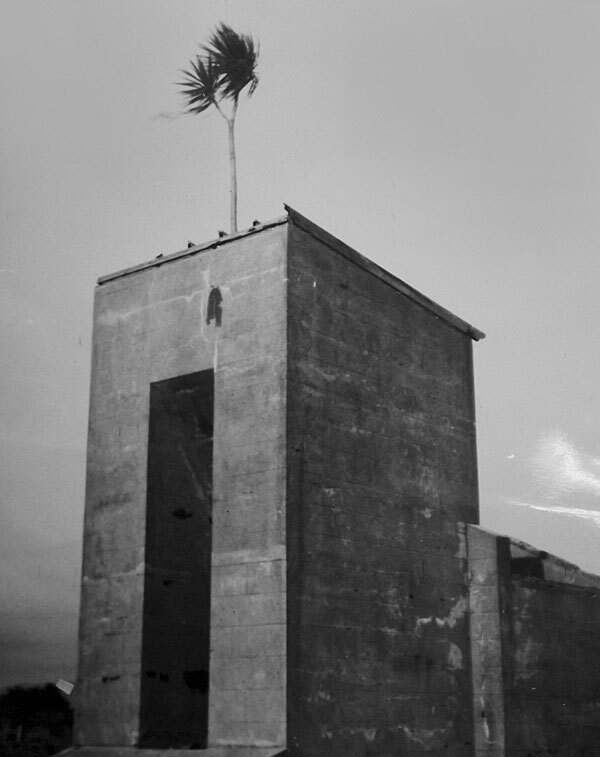 The southwest anchor block at former Awanui Radio with a tree growing out of its roof, probably in the 1950s or later. 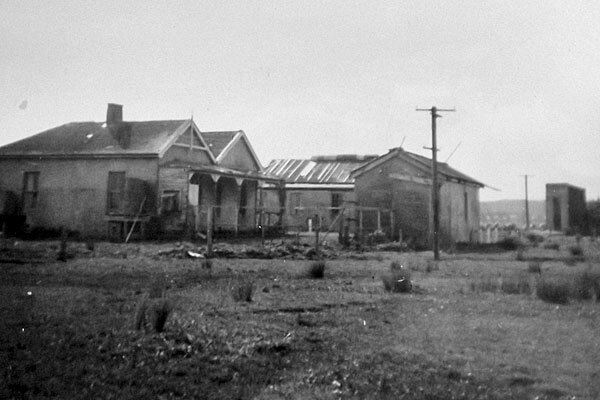 Awanui Radio after its closure and removal of the 400′ mast, looking east, probably in the 1950s or later. 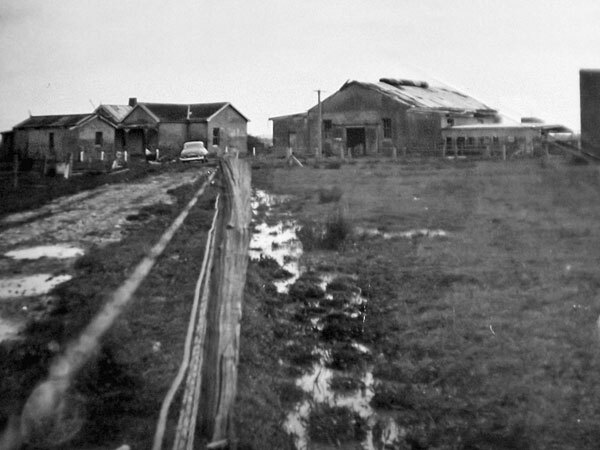 Looking northwest at the Awanui Radio operating building, with storage building at left. Both were built in 1913. 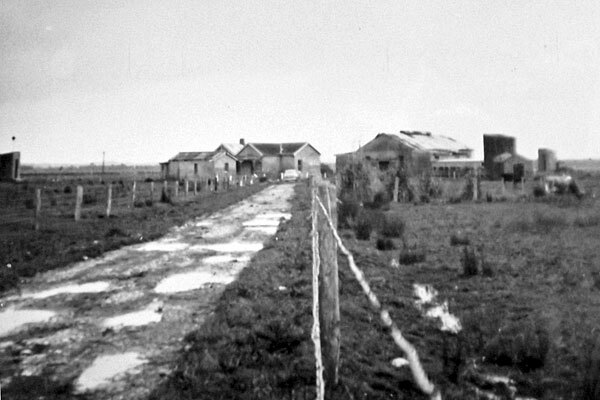 The station closed in 1930 and this photo was probably taken in the 1950s or later.